We are getting ready for a very busy summer! 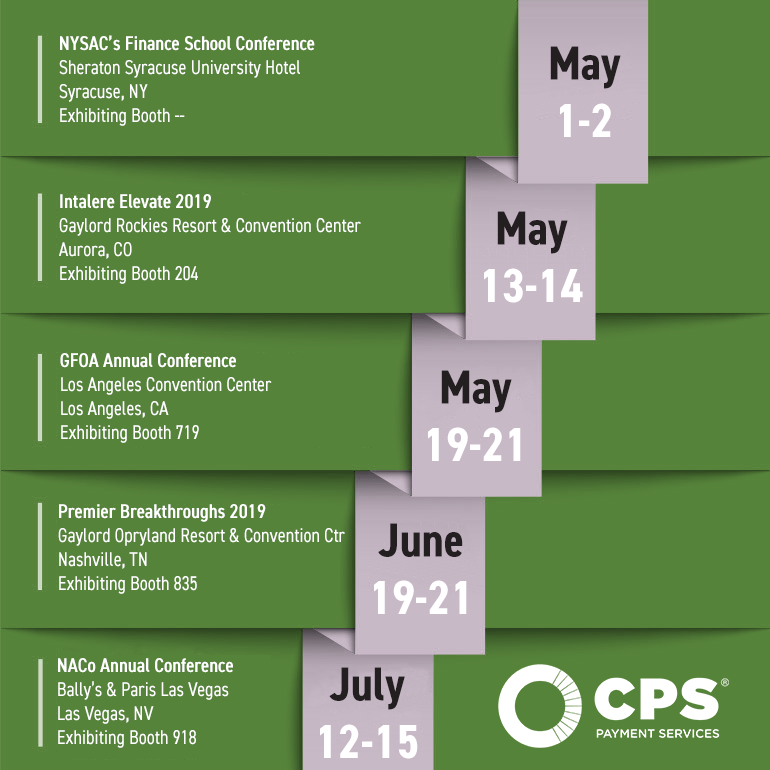 Are you planning to go to NYSAC's Finance School Annual Conference, Intalere's Elevate Annual Conference, Government Finance Officers Association (GFOA) Annual Conference, Premier's Breakthroughs Annual Connference, or National Association of Counties (NACo) Annual Conference this year? If so, we want to meet you and network. Click on the image below to download it and save it to your computer. You can also complete this form so we know to look for you at the show!